Roanoke voted 2015 TOP MID-SIZED TOWN by readers of Blue Ridge Outdoors Magazine! 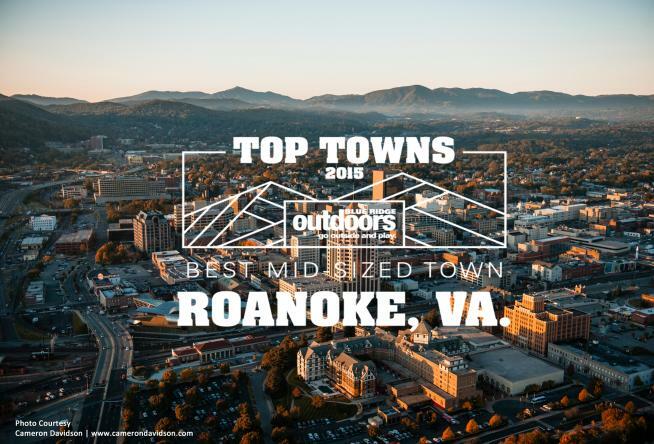 Roanoke received the most votes in a recent poll by readers of Blue Ridge Outdoors Magazine to be recognized as the 2015 Best Mid-Sized Town (population 10,000 - 100,000). The magazine&apos;s online poll featured 48 different cities and towns throughout the Blue Ridge region. After six weeks of competitive voting and over 106,500 total votes, readers chose the three best outdoor adventure towns in the South by population. The results were just announced that Roanoke, after four rounds of competition, beat out Morgantown, WV, Cumberland, MD, Bowling Green, KY, and Johnson City, TN for the title. An article billing Roanoke as the Top Mid-Sized Town is in the November 2015 issue of Blue Ridge Outdoors Magazine. To see the entire article online click here or pick up the current issue on newsstands. Virginia&apos;s Blue Ridge has earned an adventurous reputation by visitors and locals alike for having a perfect combination of outdoor-related adventures for all ages.